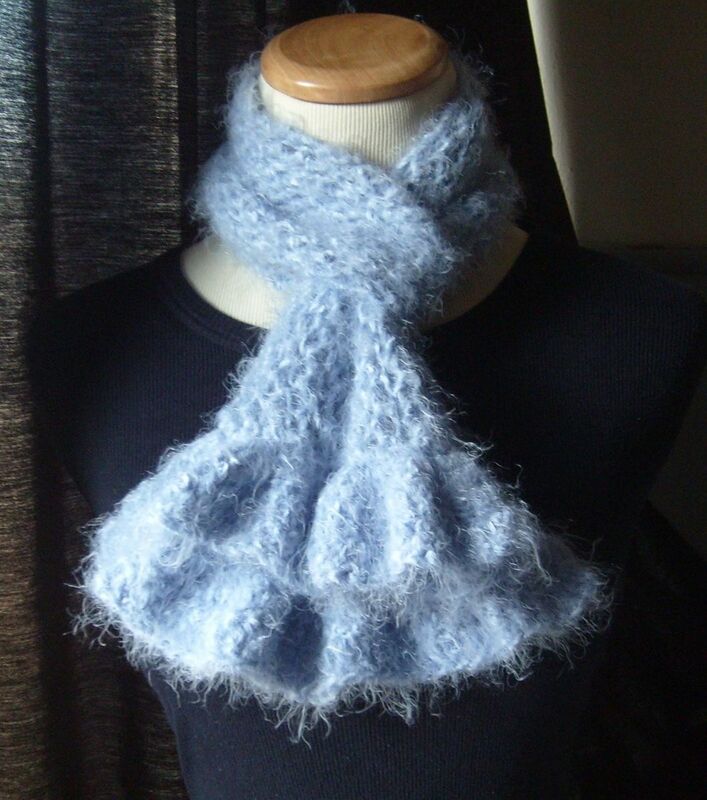 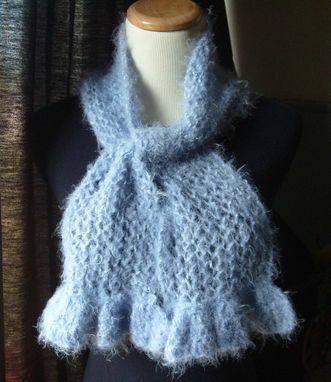 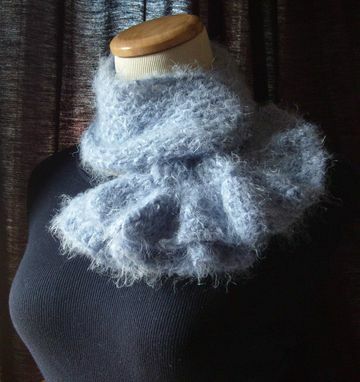 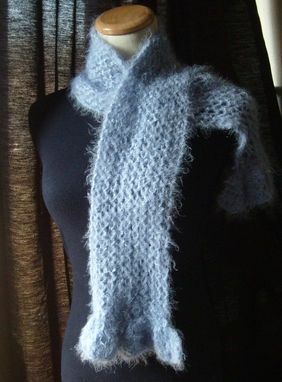 This hand-knit scarf is so soft, when worn around your neck you will feel as if you are cuddling next to a soft bunny! 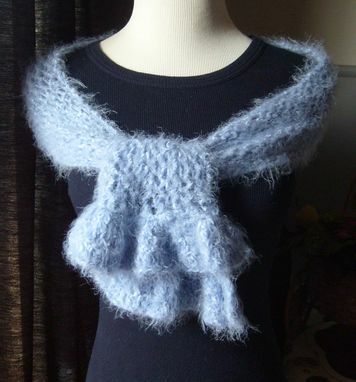 This chenille fur scarf is hand-knit in an airy lace design in an oh-so-soft lavender that will add a touch of elegance to a t-shirt and jeans or a special evening dress! As you can see pictured on the right, it is very versatile and will become a staple accessory to your wardrobe!